In striving for optimal well-being there’s nothing more important than being in a state of balance – mentally, emotionally and physically. Of course this optimal balance can be achieved by eating and drinking all the right things, exercising effectively, getting enough sleep and not getting stressed . . . All well and good – in theory. However, the fact is that in the real world, things happen! There will always be those things that knock us off centre, whether you’re dealing with chicken pox afflicted kids, running a marathon, a rather overly vigilant mother-in–law, rather too many late nights with your latest flame – or like me right now, burning the midnight oil to get this article in on time. So, are there any ‘secret weapons’ that we can employ to support ourselves through a stressful period so that the stress doesn’t affect us so much – and which will help us to maintain a poised, balanced state? The good news is that yes – in fact, there are several medicinal herbs that are exceedingly helpful in helping us to maintain our equilibrium – these are called “adaptogens”. Adaptogens are plants that we can use to increase our ‘resilience’ – or immunity to stress. Adaptogenic herbs have a long history of use throughout all the healing traditions all over the world. In ancient, and not so ancient times, they were considered to be ‘tonics’ or ‘rejuvenators’ and would have been prescribed, prepared and dispensed by the community’s wise-woman. However, in 1947 the term ‘adaptogen’ was coined by Nikolai Lazarev to describe a plant that helps one to adapt to stressful circumstances (mentally, physically or emotionally). It should support our health holistically, i.e. not simply by supporting one particular organ, but must help the whole body/mind achieve a state of balance. This state of balance is also termed ‘homeostasis’. Adaptogens can be thought of as an elite class of plant medicine – which supports us in maintaining balance and thus health – regardless of external circumstances. In addition, adaptogens go further by improving our energy, stamina, endurance and are also known to improve mental clarity. Additionally, they are incredibly helpful in improving libido, sexual performance and enjoyment. It is particularly interesting that most adaptogens in common use today hail from thousands of years of use in Traditional Chinese Medicine and Ayurveda – where, in both these traditions, healthy sexuality was considered to be a cornerstone of healthy longevity – and nowadays there is a whole field of scientific research that backs this up. Imagine the thermostat in your home that reacts to changes in ambient temperature and acts to bring your home’s temperature up or down – to the level that you desire. Adaptogens are a little like this. It is intriguing how one herb can – for example – lower unhealthy high blood pressure and raise unhealthily low blood pressure – and return them to normal levels, or give you energy when you are exhausted and conversely calm you down when you are too wired. Some herbalists view this ability to be a form of plant ‘intelligence’. But, the question remains, why would plants evolve to do this? According to ethnobotanist, James Duke PhD, plants have to contend with lots of stressors themselves, so they developed this adaptogenic ability to survive. It is interesting to note that the most effective adaptogens actually come from some of the harshest environments in the world. When looking for adaptogens or any herbal remedies, take notice of the Latin botanical name to be sure you’re getting a remedy from the right plant species. Don’t rely on common names as they vary widely. For example, there is much confusion among the ginsengs — see below. Ginseng is one of the most popular herbal remedies with a 5,000 year history of use. Ginseng’s botanical name “Panax” means “panacea” or “cure-all.” Ginseng is used to improve depression, exhaustion, cognitive performance, sleep, energy, sexual function, and immunity. Ginseng is the most stimulating of the adaptogens but because of this it can make anxiety and insomnia worse. If that’s the case, you might want to try ginseng’s close relative ‘American ginseng’. American ginseng was used by several Native American tribes including the Cherokee and Iroquois as a healing tonic. American ginseng has a proven ability to enhance cognitive function. Since it’s considered less stimulating than Asian ginseng, American ginseng is a good choice for anxiety relief for anyone whose mind tends to race. Siberian ginseng has been used as a general health tonic for vigor and stamina and to treat respiratory conditions for over 2,000 years in China. Its benefits are similar to those of Asian ginseng even though it has different active components. This herb is a favorite in Russia where it’s used for physically demanding situations. Olympic athletes rely on it as a natural way to enhance performance and aid recovery after training. One of the most important herbs in Ayurvedic medicine, Ashwagandha literally means “smell of the horse.” It is said to ‘bestow the strength and stamina of a horse’ on those who use it. All adaptogens reduce stress but ashwangandha excels in this area. It has been found to reduce stress and anxiety by 44 percent while decreasing the stress hormone cortisol by 28 percent. Studies show it can significantly improve anxiety, depression, and insomnia, and increase productivity. Ashwagandha is an excellent choice if you’re looking for an herb to enhance your overall quality of life. 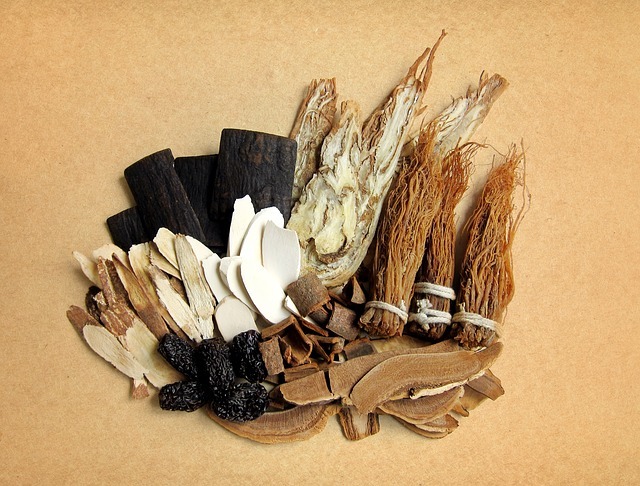 Arctic root hails from cold northern regions of the world and has played an important role in both traditional Scandinavian and Chinese medicine. It was also used by the Vikings to increase physical and mental stamina. It is one of the most popular adaptogens being widely appreciated for its ability to increase physical vitality. It is unparalleled for overcoming fatigue and exhaustion due to prolonged stressful situations. It can help with depression by transporting serotonin precursors into the brain. It may even help you live longer. It’s also a useful aid when you want to quit caffeine since it can minimise withdrawal side effects. I often prescribe Rhodiola for my patients who are recovering from adrenal fatigue.